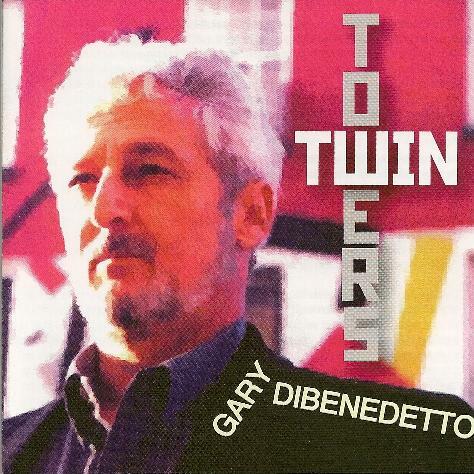 Gary DiBenedetto - "Twin Towers"
Twin Towers is Brooklyn, New York based composer and visual artist Gary DiBenedetto's first release for the Electroshock label. Described as "sonic collages that imply political or social messages", the liner notes include detailed descriptions of the theme of each piece. Based on the noise made by the door into the Gentlemen's washroom at the State Library in Berlin, Knock and the Door Shall be Opened puts the continual creaking and slamming of the door at the forefront and surrounds it with a variety of electronic sounds. Toy Store begins with efx'd water drips which build up to a high volume cacophony of sounds that felt like a rushing crowd in an urban setting. My favorite of the set is the three part A Question of Principle, which DiBenedetto says is an attempt to describe the "Liberation Theology" as a vehicle for the education and subsequent massacre of the peasantry in Nicaragua and El Salvador. More detail is provided on each movement, which describes the role of the church in the revolutions, torture of peasants, and American intervention, and this is clearly his most forceful political statement on the album. The first movement is an electronic symphony accompanied by acoustic instrument produced sounds. The second movement features clattering sounds, and the third movement returns to the symphonic theme, though in this case it's darker and more intense. Oh, You're So Adollarable focuses on the dollar and its effect on the innocent. The notes point out that all of the sounds used in the piece were derived from a 54 second extract of recordings made in several Cuban tourist markets. We hear efx'd voices repeating "one dollar", "the dollar", etc, accompanied by a bee swarm of electronics, and I even heard the American national anthem snuck into the mix at one point. The subject of Petroleum Complex is capitalist economic and political control over oil resources, and the resulting international conflict over these resources. This short piece combines playful clatter with ambient waves. Self Portrait consists of a glom of sounds, dancing and flitting about. And, finally, Twin Towers… surprise surprise… focuses on the tragedy of September 11th. The piece begins with an unaccompanied reading by Meena Alexander of a poem she wrote in response to the event. When the music starts it really does sound like an attack, but quickly quiets down to an aftermath sensation and I envisioned people stumbling about in a daze. An appropriately dark and somber piece. Twin Towers is an interesting set, mostly due to the detailed explanations DiBenedetto provides. I found myself wrapped up, perhaps overly, in the subject matter, but that's ok because the artist's intent is clearly to marry political themes with audio art.